The ECO RF is a new generation of smart boilers. It comes with a radio frequency module fitted as standard, which enables your installer to monitor boiler performance remotely and take appropriatie action. This boiler works with a range of Honeywell’s wireless room thermostats for rapid response to changing demands, which means it uses less energy to reach the required temperature, further increasing its efficiency. 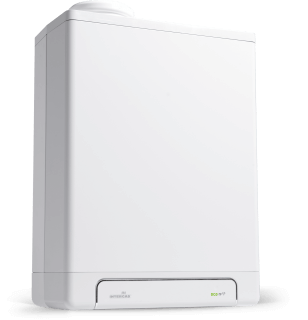 The Combi Compact Eco RF is one of the most energy efficient boilers available today. It reduces CO₂ emission levels to the absolute minimum and provides maximum savings on energy bills. Kind to the environment and your wallet.